Car Racing has occupied a major portion of gaming world since long. And the concept of driving is somewhat new to this segment. 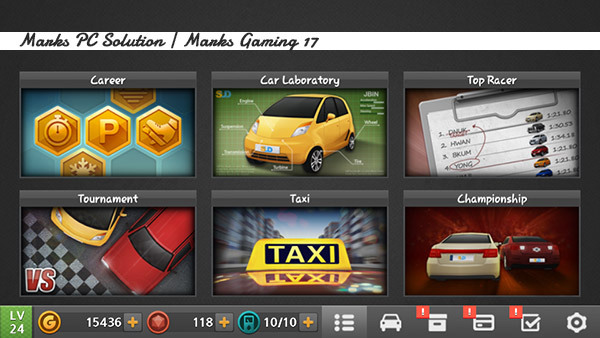 There are numerous driving games available throughout the play store. 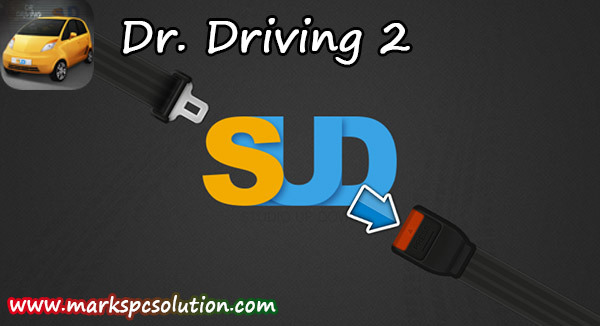 But I prefer Dr. Driving 2 for driving simulation. It really great. Let's drive . . .
Dr. Driving 2 is basically a combo of Driving and Racing. At one end you've to use your accelerator, brake and steering wheel and on the other end you've to reach your destination in time. Career: Includes more than 20 Chapters. Each chapter has 20 stages. Car Laboratory: There are 14 cars in this game. You can drive those cars which are already unlocked. 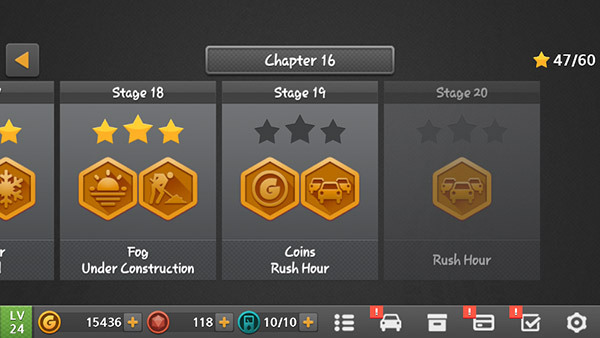 And you will have 50 stages for each car! Top Racer: Here you can see the list of top 25 racers. And you can also try to get into the list if you own a powerful car and superb driving quality one the track. Tournament: Thousands of players are online. If you've Play Games installed on your device then you can compete with the other drivers online! Taxi: You can drive the passengers to their destinations. Of course with fare! This is a good way to earn coins. Championship: This is simply a race. There is nothing much to write about it until next update . . .
3 Choices for Steering - 1. Steering on the right, brake and accelerator on the left. 2. steering on the left, brake and accelerator on the righ. 3. Tilt option. 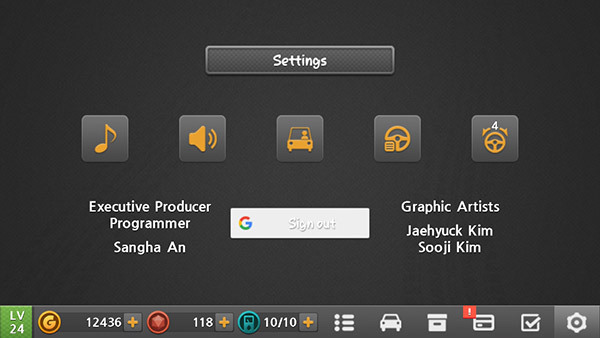 You can adjust the steering sensitivity. This game comes with hundreds of features. It's really tough to tell about them one by one. But I'm pretty sure you guys will be able to find them all while driving. 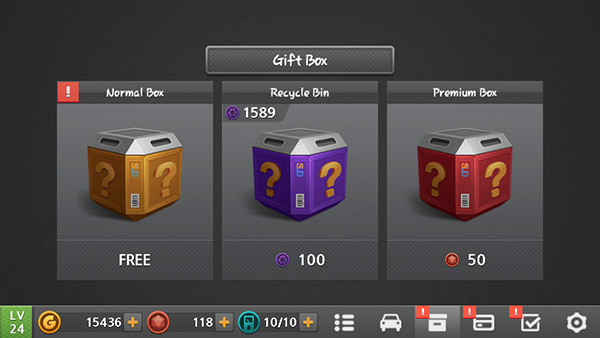 Like different types of coins, gift box, car parts etc. Parking: You've to drive and park the car at marked point. Barricade: There will be barricades on the track. You must avoid collision. Speed Camera: Beware of speed camera. Keep the speed below 80 to avoid a find of 900 coins! Under Construction: You will get some barriers on the track due to the construction purpose. Rain: Here you will see light shower. Be careful when take sharp turn or your car will slide. Fog: The visibility of the track will be low due to fog. You need to be careful to avoid accidents. Rush Hour: There will be heavy traffic on the way. Broken Brake: Brake will not work. You've to drive carefully without thinking about brake. Cup: Drive smoothly without sliding or drifting or the race will end. Lane: You've to drive on the yellow marked lanes. Misaligned Wheels: The wheels will be misaligned. And that's why your car will move somewhat left or right automatically. Use your steering properly to control. Salom Test: This will measure your steering wheel skill. Use your steering ability to pass this test. Icy Road: There will be ice on the track. Your car will slide when take sharp turn over the ice. Cruise Control: You don't have accelerator here. Car will accelerate automatically. You just need to use your steering wheel and brake pedal when necessary. Drift: Show off your drift skill. Know how to drift? At a high speed, suddenly turn your car on the left or right where you got enough space. Be careful. In most cases, drift is a prime reason of collision. Duration Trial: This trial will only deal with time. Cross the finish line within time. Coins: You've to collect a certain number of coins. These are the types of races I've discovered so far. As your level increase, you will get most of the races combined. For example - Coins and Cup, Icy Road and Salom Test etc. You've to cross the finish line before 3 seconds of the provided time to get 3 stars in a race. And every star will have some gifts life parts, fuel, coins or something else.